With more than 10 years of experience, Beartooth Inn of Cody offers the finest guest service and lodging accommodations at prices you can afford. The property has a AAA, 2 Diamond rating. 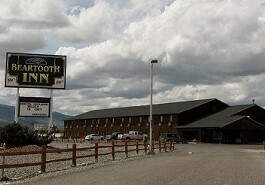 They proudly cater to the lodging accommodation and service needs of the greater Cody and Yellowstone area. They are centrally located adjacent to Yellowstone Regional Airport, minutes from the Buffalo Bill Center of the West and the Cody Nite Rodeo, and only 52 miles from Yellowstone National Park. Open year-round. No Pets.